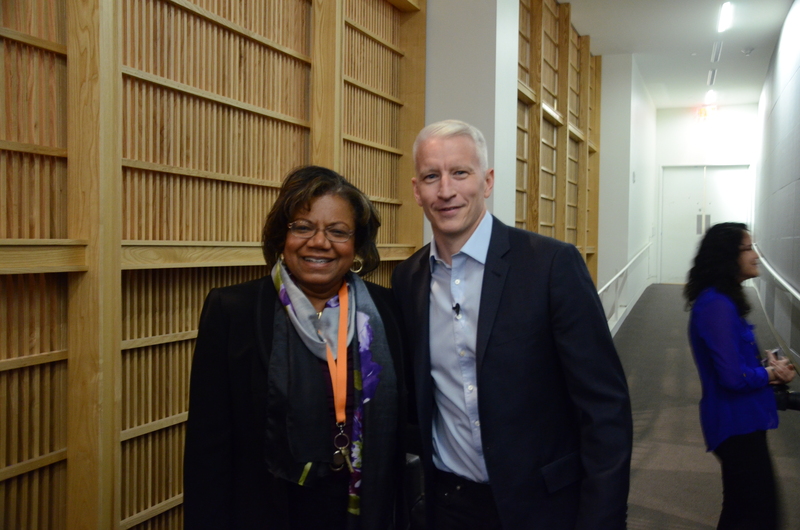 In conjunction with the Delta Zeta Chapter of Alpha Phi Alpha Fraternity, Inc., the SU chapter of NABJ hosted CNN and 60 Minutes host Anderson Cooper as a component of the third annual Truth Be Told series. Beginning his talk, Cooper told the audience that he never set out to be a TV anchor. After graduating with a Political Science degree from Yale University, he went to his mother, railroad heiress, Gloria Vanderbilt, who advised him to “follow his bliss” in whatever facet of live he was to pursue. Click for Full Editioral! NABJ-SU had the fortune of sharing the intellect, skill and stories of crisis manager Judy Smith. The event was extremely well received with over 400 viewers both in attendance and online. The following is a detailed critique of this unforgettable Conversation. Enter Judy Smith-the inspiration behind the network television show that has captivated the interests of millions of American viewers and shaped to a great degree Kerry Washington’s character, Olivia Pope. NABJ- attempts to deconstruct The Real Olivia Pope and demystify the woman who has had a strong influence on our American viewership as well as her own experiences in her crisis management firm. Click for Editorial! NABJ-SU had the honor of hosting award-winning author, journalist and political analyst, Roland Martin. Martin engaged in a thought-provoking conversation discussing the political landscape and insight regarding recent issues concerning Americans. He also spoke of his unparalleled experience of becoming an acclaimed, journalist. NABJ-SU created extensive marketing and promotion application, the result, having over 200 members of the student body in attendances. The members of NABJ-SU agree this has been one of our greatest events to date. The following is more insights from our E-Board. Click for Full Editorial! Phi Beta Sigma Fraternity Inc. in collaboration with The National Association of Black Journalists, Syracuse University chapter (NABJ-SU) hosted a panel of four women of distinction: Actress Gabrielle Union, Director of the Syracuse Community Folk Art Center- Kheli R. Willetts, Director of the Ronald E. McNair Achievement Award- Christabel Sheldon and the Dean of the S.I. Newhouse School of Publications- Lorraine Branham. The following is an in-depth recap of the convention from members of NABJ Syracuse University Chapter. Click For Editorial! Remember when you were a child and you used to tune into The Magic School Bus around 4pm after you got home from school? Remember how you used to wish school was really that exciting? Spontaneous trips to “forbidden” lands and exclusive access to special knowledge–would’ve been nice, huh? 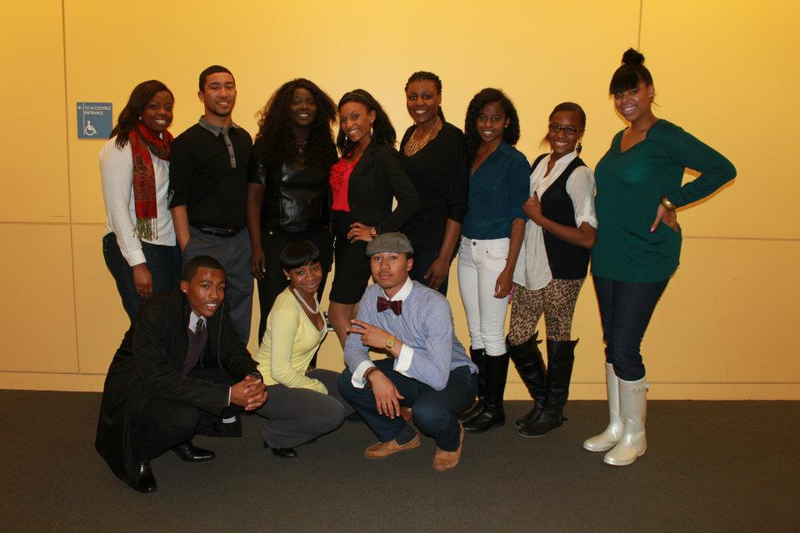 Well welcome to the life of NABJ-SU members. On Friday August 10, NABJ-SU celebrated 10 years with the kick-off of the first annual Summer Series. The Summer Series was an exploration of media-related career fields and interviews with black professionals. The event was headed by NABJ-SU Co-founder Zandile Blay. Zandile has worked at Essence Magazine, PaperMagazine, and Seventeen Magazine. She is currently a Style and Culture Columnist at the Huffington Post and the founder of Africa Style Daily. Click for Editorial! Stoute will partake in a thought-provoking conversation moderated by Troy James discussing his experiences as a music executive as well as his transition into an advertising/branding pro. In addition, Stoute will also familiarize students with his compelling new book, The Tanning of America. Through his experience in the music industry and his extensive marketing skill set, Steve Stoute has developed a branding science that is the foundation behind the iconic McDonald’s “I’m Lovin It” campaign, the S. Carter sneaker launch, and the MAC cosmetics campaign featuring Lady Gaga. Steve Stoute has broken boundaries by understanding urban culture and maintaining a balance between his insights and branding expertise. The National Association of Black Journalists, Syracuse University chapter (NABJ-SU) will host media mogul, author & entrepreneur Steve Stoute. Click For Full Editorial! Based on a series of questions concerning how she’s made it in the fashion magazine industry, Blay will discuss how she’s “Making it in Magazines” in Q-&-A-style. Blay is currently online fashion editor of ESSENCE Magazine and a style columnist for the Huffington Post. Blay was formerly Fashion Market Editor for Paper Magazine. Her work has appeared in New York Magazine Online, InStyle, Seventeen, Teen People, The New York Sun, The Daily News and America Online, amongst others. In addition she launched the British Vogue recognized fashion news blog, The Blay Report, and the newly created Africa Style Daily. In 2002, while studying at Syracuse University, Blay established and founded the National Association of Black Journalists, Syracuse University chapter. Click For Full Editorial! 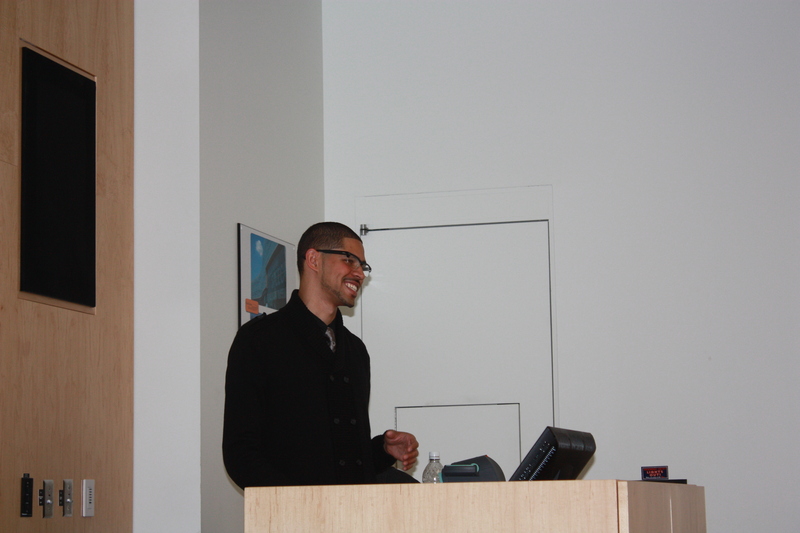 Michael Feeney will discuss how to best prepare yourself for landing your first communications job out of college. He will provide tips on how to get the most out of your college experience, the importance of networking, and professional communications organizations. He will also address the importance of branding yourself, and how social networking skills can be helpful in today’s highly competitive field. Feeney is only 27-years-old and is already an experienced, professional journalist. He has interviewed the likes of rapper J.Cole, rapper Jim Jones, Carmine Gotti, Diggy Simmons, and the list of emerging artists goes on. Please, join NABJ-SU for an evening of conversation and enlightenment with Feeney as he shares the necessary tools needed for success. Learn more about what is next for this young, emerging journalist and how his fast journey to success may be influential to your success as well! Click For Full Editorial!